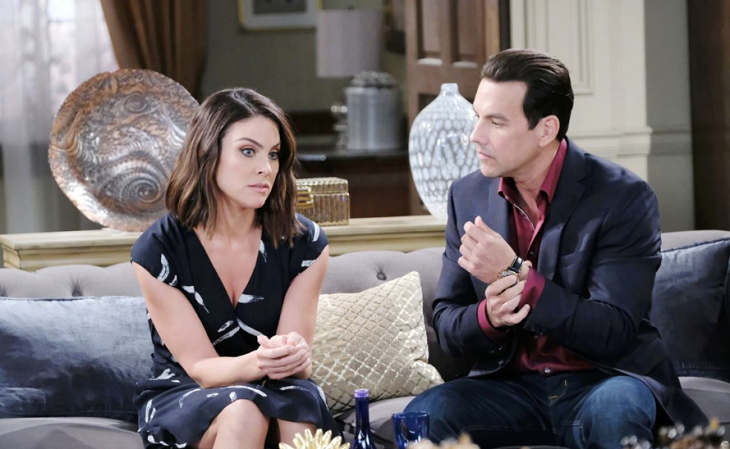 Days of Our Lives spoilers tease that Tyler Christopher (Stefan DiMera on Days, Nikolas Cassadine on GH) reveals in Soaps In Depth the real reason why he left his role in Days of Our Lives, and let his General Hospital cast mate Brandon Barash (Johnny Zacchara, GH) take over as Stefan. The article relates that Christopher originally moved himself and his family to Indiana, hoping for a better and more affordable cost of living and place for them to raise their children, but the commute and other challenges were very wearing on him. In addition, the Days of Our Lives and General Hospital star said his children didn’t like their daddy gone for so long. Days of Our Lives films six months at a time, so the actors are working six months on and six months off. His children were complaining he was missing all their important events. Both DAYS and GH film in California but DAYS has a much more grueling filming schedule. The Soaps In Depth article also said Christopher admitted his problems with alcohol addiction. And while he has had successes and failures since his addiction started when he was a teenager, it was another big reason why he stepped away from Days. Christopher also mentions that he is writing a book about his struggles over the years, and he will be very open about his healing process. He hopes his openness and his book will help others going through similar struggles. Both Days of Our Lives fans and General Hospital fans wonder if Christopher, a fan favorite on both shows, will return to either soap. General Hospital, according to other GH stars, apparently has a much less grueling filming schedule. Steve Burton, Maura West and others post a lot of family fun pictures on their social media accounts, so apparently there is more opportunity for family time with GH. However, with living in Indiana the fly time for Tyler would be the same no matter which show if he considered coming back to either. Barash is said to be a permanent recast, so DAYS may not be an option for Christopher. Stay tuned to Days of Our Lives and keep checking Days of Our Lives spoilers frequently for all the latest news, updates, and spoilers!